The bottom line is that 4 of the Canon T6s and 2 of the T6i cameras we received had to be sent back because of a defect in the sensor stack (the layers of filter glass over the sensor). This is out about 10 copies of each; the others were absolutely perfect." See the entire article on the LensRentals Blog. We checked our own Canon Rebel T6s review camera and there was no indication of the defect. We have no idea how widespread the issue is, so be sure to check your own Rebel T6s / T6i cameras upon receipt. 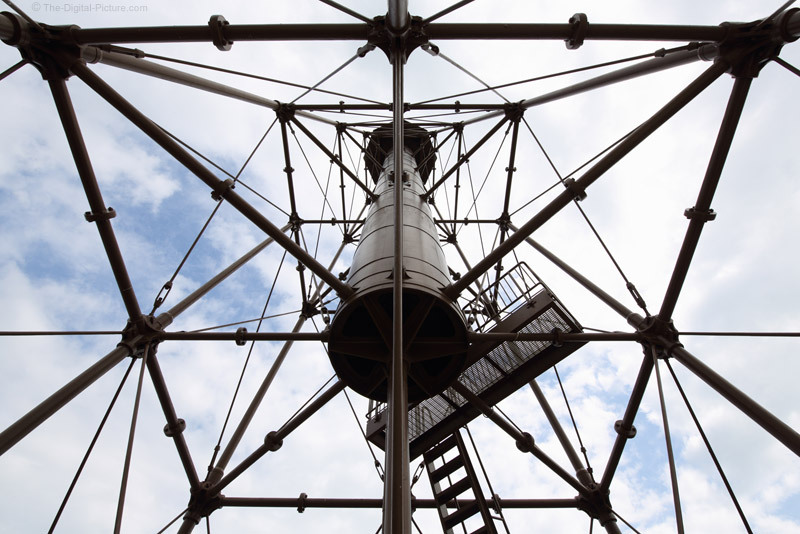 Essentially all lighthouses attract photographers and casual observers alike, but not all are similarly photogenic. While it is hard to take a bad photo of the Portland Lighthouse, I found the Sanibel Island Lighthouse to be more challenging (especially with the weather conditions I was given). If you search for images of the Sanibel Island Lighthouse, you will primarily find the normal from-the-side, from-a-distance variation. While some of these images are great, I was looking for something different. The skeletal, pyramidal iron structure of this lighthouse is somewhat unique, and that uniqueness captured my attention. One way to emphasize part of a subject is to make that part closer to the camera than what is to be de-emphasized. Using a wide angle focal length is one key to de-emphasizing more-distant subjects and that is the tactic I used for this image. To get this perspective, I was flat on my back under the lighthouse. For the record, no, I wasn't napping (but it was a comfortable shooting position). It is of course not possible to get under most lighthouses, but the design of this one makes that position possible and that makes the image even more unique. While this shooting location and position brought my state of mind into question from other observers (I received some light-hearted attention), the wide 15mm focal length and careful framing made this image happen. A larger version of this image is available on Flickr, Google+, 500px and Facebook. Also, if reading from a news feed reader, click through to see the framed image. Triggertrap Celebrates Earth Day 2015 with "Earthlapse"
What do you get when you combine 45 awesome photographers, 12 different countries, and 12,500 stunning photos? The world’s most glorious, globally crowdsourced timelapse film you have ever seen. After the wild success of LapseLondon back in December, we just couldn’t stop ourselves from holding another timelapse event. And what better opportunity than Earth Day 2015!? On April 22nd, the Triggertrap Team along with 45 other photographers across 5 continents set out with the same goal: To capture their view of the corner of the world they call home. Our team were out and about in London and Bristol, but they are only 2 out of 31 different towns and cities you can see in the breathtaking EarthLapse film. From windsurfers in South Africa, to traffic in Atlanta, with a couple of city sunsets thrown in for good measure, you can’t help but be amazed at the brilliance of Planet Earth. The Triggertrap Mobile Dongle (review) is available direct from the Triggertrap website. Permalink: Triggertrap Celebrates Earth Day 2015 with "Earthlapse"
B&H has the Sigma 24mm f/1.4 DG HSM Art Lens (review) in stock with free expedited shipping. Use the promo code EARLYBIRD10 to get 10% off any rental arriving on Monday or Tuesday. Select a Monday or Tuesday arrival date. Enter the code EARLYBIRD10 in the Special Instructions box during checkout. Discount applies to the rental fees only, and does not discount shipping charges. Discount does not apply to purchases. If you want to apply the discount to an existing eligible reservation, simply contact us and we'll apply it for you. To support this site, click on the appropriate product review and then click the button beside the camera/lens you want to rent. Breakthrough Photography has introduced their new X3 line of ND filters, claiming that "The X3 ND is the world's sharpest and most color neutral ND filter." For validation of that big claim, they sent me a pair of filters in 6 and 10 stop densities. I have included the 10-stop X3 in many of the comparisons shown in the 10 Stop Neutral Density Filter Review and have added more specific X3 information at the end of that page. 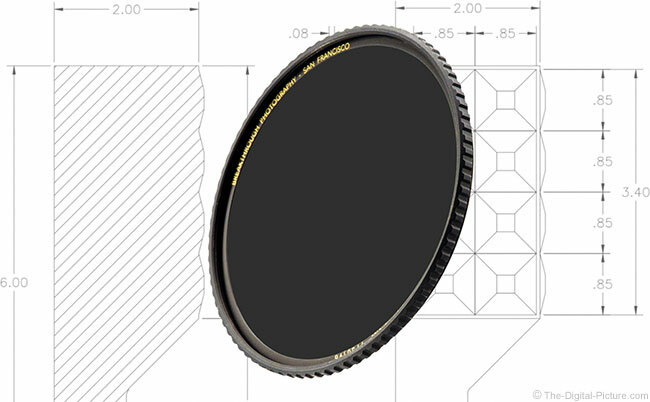 This fact should grab your attention: The X3 is less than half the price of the Singh-Ray Mor-Slo 10-Stop ND Filter. When I get time, I will update the neutral density filter review with the results from the 6-stop filter, but ... this filter performs similarly to the 10-Stop version. Excellently. Breakthrough Photography X3 ND Filters are coming to B&H very soon and are available now at Adorama (77mm and 82mm only at this time) and Amazon (many sizes available). Starring Joel Edgerton (The Great Gatsby, Zero Dark Thirty) and shot on the DJI Ronin-M in less than 7 hours, this short film focuses on the most important connections we make in life and the lasting power of creativity. 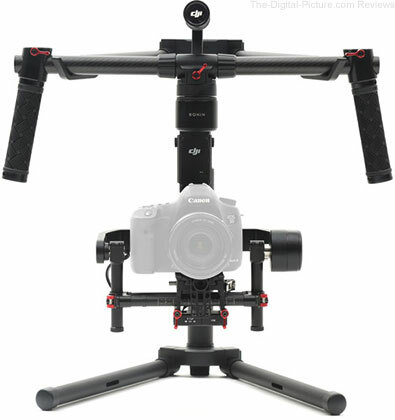 Note from Sean: I was so intrigued by the DJI Ronin that I almost purchased it on a number of occasions. The overall weight of the stabilizer along with the price tag (even reduced) held me back. However, the DJI Ronin-M is lighter (5 lbs), features sufficient max load capacity (8 lbs) and is significantly less expensive. There's a very good chance this stabilizer will end up as part of my video capture kit. B&H has the DJI Ronin-M available for preorder. Seattle, WA – April 28, 2015 – On Friday, May 8th from 9:00 a.m. – 4:00 p.m. (Pacific Time), in a special Mother’s Day Card photo event, photographers, moms, crafters, and fans can watch Anne as she prepares and photographs an unforgettable image celebrating motherhood. To commemorate Mother’s Day, everyone who registers for the live photo shoot will receive a free, exclusive, Mother’s Day e-card created by Anne for CreativeLive during the photo session. Throughout the shoot, Anne Geddes will offer candid commentary, explain how she approaches her subjects, and provide invaluable tips that can be applied to your own photography, no matter your level of expertise. B&H has the DJI Ronin-M 3-Axis Handheld Gimbal Stabilizer available for preorder. The Airport Helipak (announced in December) is now available for purchase at the Think Tank Photo website. 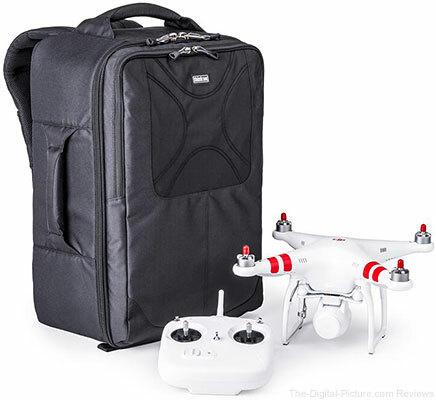 The custom divider set, designed specifically for the DJI Phantom series, allows you to reconfigure your bag. Protective rotor thread caps included. Internal see-through mesh pockets for small accessories: rotor blades, screwdriver, cables, etc. Deluxe organizer for smart phone, wallet, pens, keys, business cards, etc. Elastic pockets on shoulder strap for phone, energy bar, GU pack, and more. Exterior: For superior water-resistance, all exterior fabric has a durable water-repellant (DWR) coating, plus the underside of the fabric has a polyurethane coating. It also has YKK RC Fuse (abrasion-resistant) zippers, 1680D ballistic nylon bottom panel, 600D polyester, 420D velocity nylon, 3D air mesh, ultra-stretch pockets, Y-buckles, antique finish metal hardware, big hole air mesh, nylon webbing, and 3-ply bonded nylon thread. 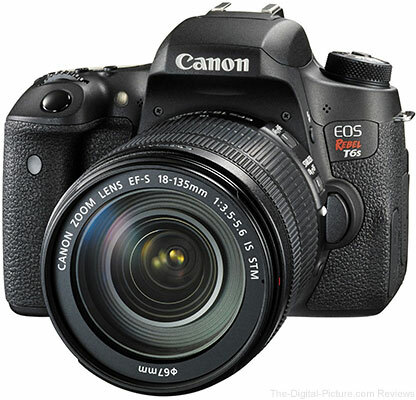 B&H has the Canon EOS Rebel T6s with EF-S 18-135mm IS STM Lens Kit in stock with free expedited shipping. Just posted: Canon EF 400mm f/4 DO IS II USM Lens Review. This is an ultra-light, long telephoto focal length lens with image quality and AF performance that do not disappoint. B&H has the Canon EF 400mm f/4 DO IS II USM Lens available for preorder ("backorder" may now be the more appropriate word). Ithaca, NY – April 28, 2015 – Spider Camera Holster, makers of unique, ergonomic camera-carrying solutions for photographers, today announced the availability of their newest and most anticipated product, the SpiderPro Hand Strap. Following the success of their Tilt crowd funding campaign, which raised over 180 percent of their monetary goal, the SpiderPro Hand Strap can be purchased at select retail stores. Contrary to typical hand straps that lack in function and ergonomics, the SpiderPro Hand Strap’s meticulous design and proprietary materials mark a paradigm shift in how a professional hand strap should look, feel and function. As the world’s first truly universal hand strap, the SpiderPro Hand Strap’s thin and extremely durable materials slide in between the camera body and tripod plate, making it adaptable to any camera system. 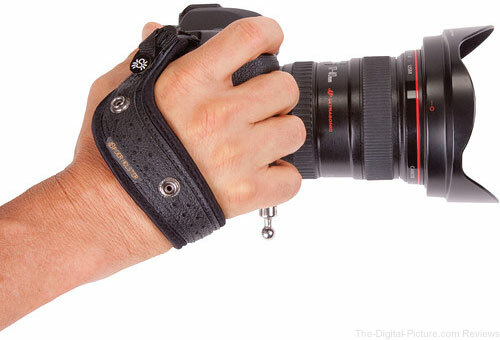 Photographers constantly battle with hand straps that have flimsy webbing connections, require proprietary plates, use cheap plastic connectors, or employ a “straight line” design that fails to provide real weight support. The SpiderPro Hand Strap combats this issue by providing superior weight support at the proper location on the photographer’s hand: over and away from the knuckles, and closer to the wrist. The unique “S” shape positions the photographer’s hand at the optimal shooting position (45 degrees) while allowing clear access to the battery door and memory card slot. Also, the SpiderPro Hand Strap’s proprietary materials curve and “remember” the shape of the photographer’s hand for long-lasting comfort and reliability. The standard black leather SpiderPro Hand Strap will carry an MSRP of $65.00. Color Hand Straps will be available in retail by summer of 2015. The SpiderPro hand strap can be purchased directly through the company website and at Spider Holster authorized dealers. For more information and a full list of products, visit spiderholster.com. B&H has the SpiderPro Hand Strap available for preorder. I'm always on the lookout for picturesque locations that can be utilized for future portrait sessions. While traveling to photograph a nearby waterfall a couple of weeks ago, a stark tree set upon the crest of a hill with dark, brooding skies caught my eye. I immediately imagined a portrait where the subject and the tree were equally prominent, yet balanced, within the composition. The kind of shot I imagined was a departure from my normal style. I typically like closer up, tighter cropped images that feature my subject against a strongly blurred, yet still beautiful backdrop. That's the kind of picture I'm most comfortable producing. But I needed to break out of my comfort zone, and my imagination was leading the way. The location looked well suited for a portrait session because there was no fence between the the field and the road and there was a small parking area (enough for a couple of cars) nearby. I filed away the location in the back of my mind with the intent of using it whenever the opportunity came up. That opportunity arrived in the form of a text message less than week later. Samantha, someone I've worked with on a couple of occasions, was in town and wanting a shot to bolster her portfolio. I told her I had the perfect place in mind but didn't yet have permission to use the land for a photoshoot. I told her we'd need to get permission before shooting but I didn't think that would be a problem. Trusting my judgement (and relatively vague description of the location), she readily agreed. We met up at a gas station about 4 miles from the location and caravanned to the parking spot along the road. When we arrived at the location, I quickly assessed the situation. On the plus side, the afternoon skies had gone from party cloudy early in the afternoon to mostly cloudy later in the day. This coincidence meant that the shot I had in my head – with dark, brooding skies – could potentially be realized. One downside, though, was that the tree which had been completely bare the week before now showed signs of life in the form of small growths of leaves forming at the end of the branches. Thankfully the growth wasn't substantial enough to completely hide the beautiful shape of the tree outlined by its branches. After parking I walked to a nearby house and acquired permission to use the land. As it turns out, the land is rented out seasonally to a farmer who grows various crops on it. However, as the crops had not yet been planted this year, there was no reason to be concerned about us shooting in the field. With permission obtained, the shoot was underway. I set up a Vagabond II powered White Lightning x3200 monolight mounted with a Mola Demi beauty dish (with stacked PAD and Opal diffusers) as the main light. I chose the beauty dish because there was a decent amount of wind and I knew that any large modifier (softbox, octabox, umbrella, etc.) would quickly become a wind sail. I've had more than a fair share of light stands blow over in the wind (even when I thought they were adequately sandbagged). I knew the position of the beauty dish, being relatively far away from the subject, meant that the typical beauty dish look would be lost on the scene. However, I thought that the warmth and diffusion of the dish would look better than a standard silver reflector or silver beauty dish (both of which I had brought along with me). I initially only set up the monolight but later decided that I needed some fill light. Therefore I set up a Canon 580EX Speedlite, bare, on the right side (just out of the frame) zoomed to 85mm. The speedlite made a huge impact in allowing details to be visible in the shadows. Contrary to my typical style, I chose a relatively narrow aperture so that the background did not become blurred into oblivion. The f/7.1 aperture combined with a low ISO allowed me to underexpose the scene to make it look as if it were captured at a much later time (this image was taken at 5:25pm CDT with sunset occurring at 7:21pm). I chose to use the EOS 5D Mark III paired with the Sigma 50mm f/1.4 DG HSM Art because it's an extremely sharp lens and the focal length seemed optimal for obtaining the perspective I wanted. Below is a setup picture taken just after we ended shooting. I didn't change camera settings for the setup image but lifted the shadows substantially in Photoshop Camera Raw so that the equipment would be easily identifiable. I had every intention of removing the power lines in post-processing while the shoot was underway. However, after removing the power lines in post, I felt like the two subjects were too isolated from one another. The picture had lost something. I flipped back and forth between the two versions (with and without power lines) and came to the conclusion that the power lines helped draw my eye into the image. They also connected the primary subjects (the girl and the tree) in a subconscious way. Even though I typically despise power lines in landscape and portrait images, this (I felt) was an exception to the rule. Therefore, the power lines stayed. We, as photographers, are very fortunate in that we see a world with endless possibilities and beauty. I'm sure I'm not alone in always keeping an eye out for a fresh location in which to shoot. Unfortunately, it's really easy to get stuck in a rut shooting the same types of images – in the same sort of style – over and over. So when your imagination leads you on a creative tangent that leads out of your comfort zone, take advantage of the inspiration and press onward. You may surprise yourself when you try something completely different than what you're used to, and you may find yourself questioning how you ever got in a rut to begin with. Note: You can see a larger version of the image by clicking on the image at the top of this post. 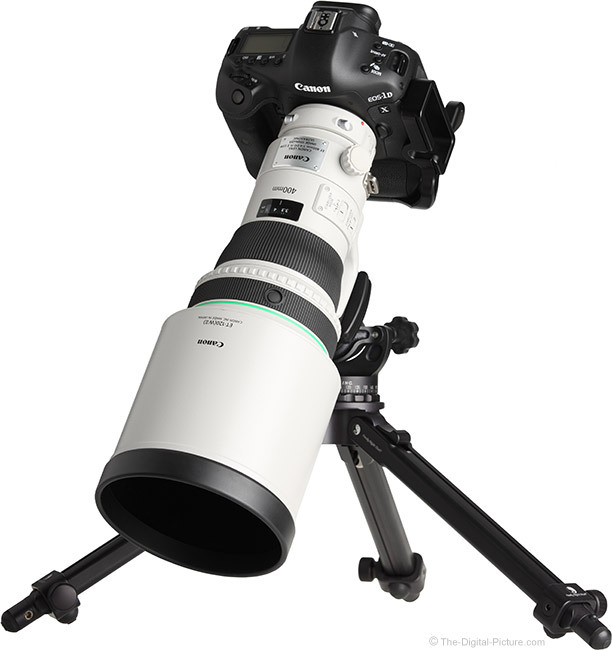 Image quality results have been added to the Sigma 150-600mm f/5-6.3 DG OS HSM Sports Lens review page. The first copy of this lens to go through the lab showed a rather strong misalignment issue (Sigma replaced that lens for the owner – great service). 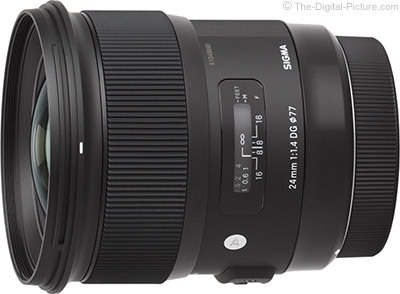 As the 150-600 Sports lens model remains unavailable, we have Sigma USA to thank for the loan of this second lens. This new lens also shows some side-to-side variances, but the differences are less-significant than the first model. The left side of the lens is not as sharp as the right in the widest focal length tests and, noticeable in the results presented here, is that the right side is softer at 300mm. Demand is still outstripping supply of this lens right. If you want a 150-600 Sports lens in your kit, the best option is to get in line at B&H.